Hello! 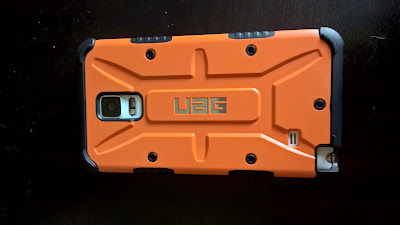 I thought I'd publish a review of the UAG Note 4 case. I love this case! It's gorgeous, very protective and very well built. Everyone that sees me using it seems to turn their head and see if I'm using a device out of a movie or something like that. The feeling in hand is fantastic. Very firm, solid. It's obvious that it's well built. It's not that difficult to put on, but boy, taking it off does make me feel like I'm going to break my phone. Sometimes I don't know where to push / pull. 99% of the time, I end up taking off part of the battery cover. But all the ports and microphones are available, and in fact, are cut VERY well! A lot of those cheaper cases off of the internet are "estimated" microphone holes, or they're cheap for a reason... They didn't spend as much time in the design, which is definitely not the case with the UAG case. NFC works fine with the case on. I read in other forums that if you add a QI pad to the back, it also works fine. It fits very snugly, so I'm not so sure if it'll fit with the QI charging back (the entire replacement battery back), so I'd be wary of that. 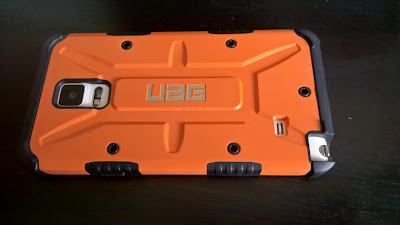 But I have to say, the design of the back and the rubber sides help with the grip A LOT. Fantastic! This isn't going to fall out of my hands any time soon! As you can see from the images, it does add bulk, which is fine. I used it for over a week consecutively without taking it off (not even once) to get a feel for it, and it's great. I love the case. 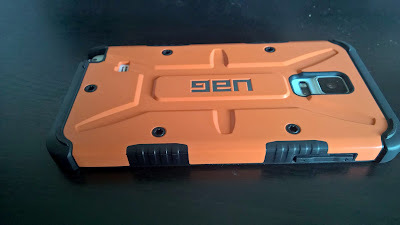 This case is going to be in my permanent collection :). One nice touch is that UAG threw in a screen protector. Now, the screen protector is slightly smaller than the actual screen, so that means that you'll see borders around the screen. The quality of the screen though is fantastic, so no problems in that department :). 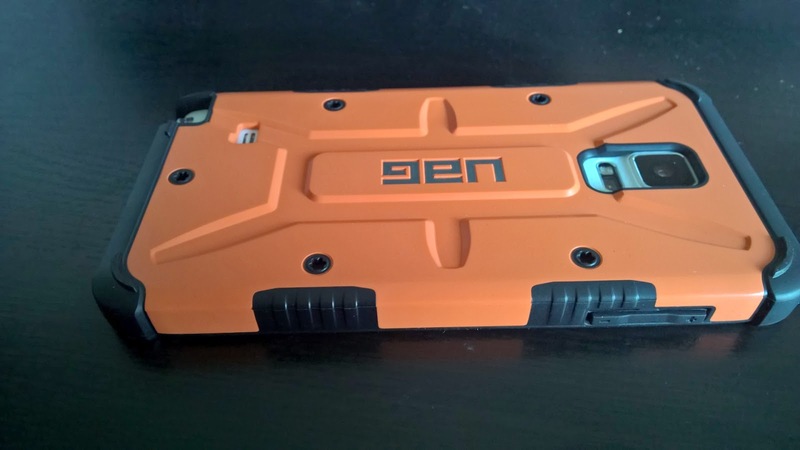 Overall, the case is awesome. It's kind of expensive, but I spent a lot of money on my phone just to let it fall once and ruin the experience. 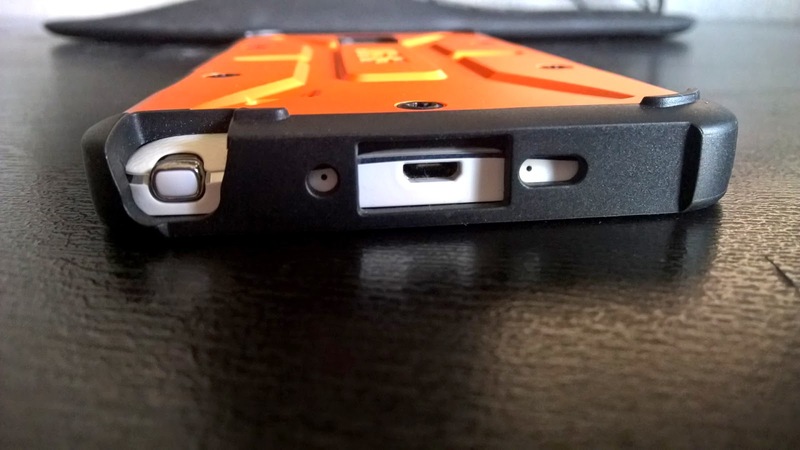 The case offers a lip on the front (and obviously the back) so when I want better volume from the device I put it face down. 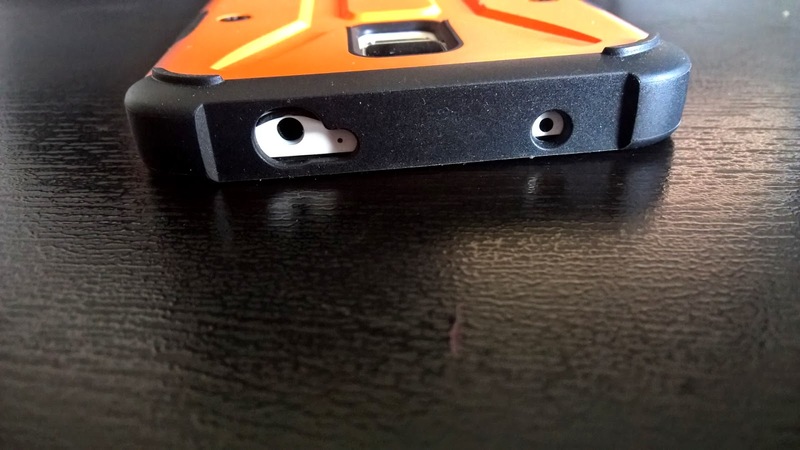 If you look at the speaker though, there is a hole for it that is surrounded by a ridge that allows the sound to not be muffled and it actually sounds almost as good facing down with the speaker up in the air! The lips protect it from placing it down on the table in either direction and not allowing anything to scratch it. Good buy :) I'd recommend it. Just beware: it does add bulk to your phone. 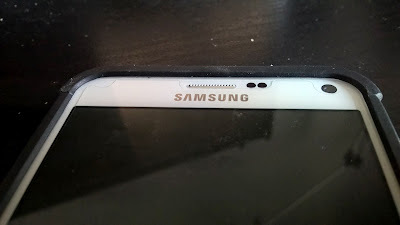 You can buy it for the Note 4 here, as well as for other devices. It also comes in a ton of different colors! :) Check it out!